Fortnite star Nick “Nickmercs” Kolcheff shows viewers his new house, after a short stay in LA, Nickmercs buys a house near home. There is one thing Nickmercs cares about most and that’s family. If there is one streamer who holds true to his word, its Nickmercs. He means what he says and is outspoken when he needs to be. His mfam run tight feeding from his positive vibes. Nickmercs was born and raised in Michigan. Although just like many popular streamers do, he moved to Los Angeles in 2017. The move made sense as his 100T organization were based on the West Coast. Although many who move out West love it, TSM_Myth for example, others clearly don’t. Tfue is another example of someone who mentioned he could not live in LA, while returning home to Florida. Anyone who follows Nickmercs knows how important family is to him. Fame and fortune have never changed that side of him, as he continues to be as thankful in 2019 as he was when he first started his streaming career. In March 2019, during a livestream, Nickmercs opened up about what he thought about living in LA and why he is going back home to Michigan. Nick make’s it clear, he wants a house, snow and his family close by. Stating he wants to start a family of his own close to home. Just like he always does, Nick held true on his word moving back to Michigan to be closer to family. He tweeted out he would be actively house hunting before making an official announcement that he had closed on his dream house. That very night, NICKMERCS shows his viewers his new house and by the looks of the pictures is pretty sweet. 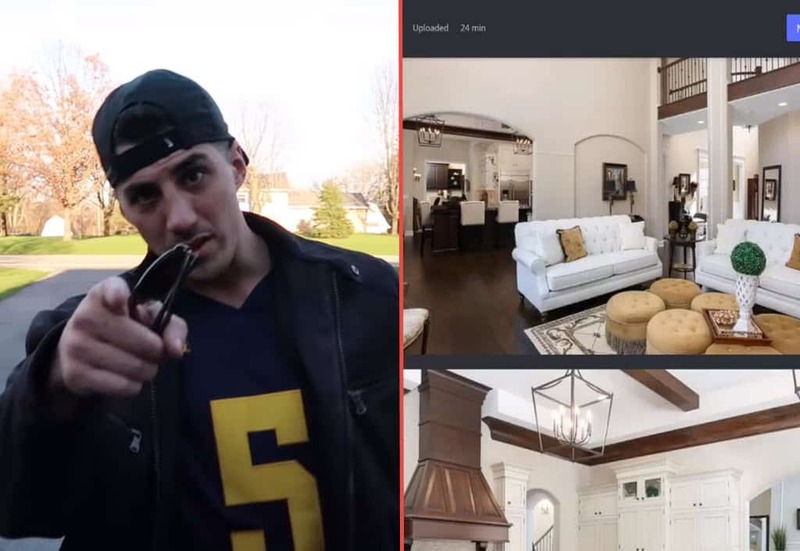 Nick showed off his new house on April 11th 2019, if we go back almost two years to the date, April 16 2017, Nickmercs uploaded a Youtube vlog showing his family house. The house vlog of 2017, was a first from Nickmercs, who had yet to break into his stardom status. Nick thanks his fans at the end of the video for making all of it possible. This is what makes Nickmercs so popular, he has not changed and always sticks to his roots. His success has not changed his style of appreciation for his fans. There is no word when Nick will officially settle into his new home but rest assured he let his fans know about it.